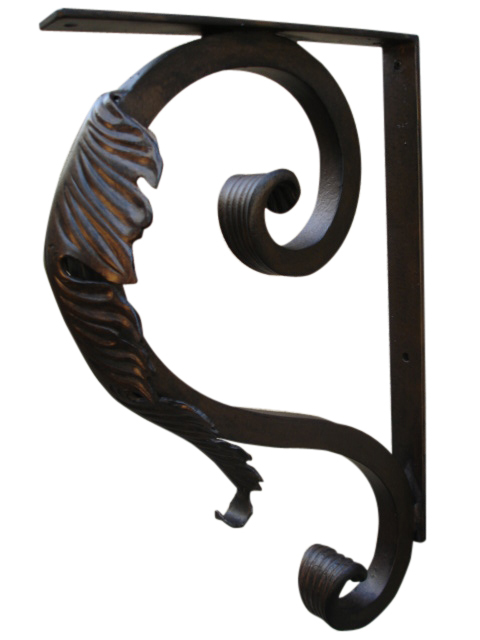 A decorative hand forged iron leaf mounting bracket is a beautiful choice for home and garden support and decor. Because, design and detail are important, take the ordinary to extraordinary by choosing elegant, classy, custom brackets. 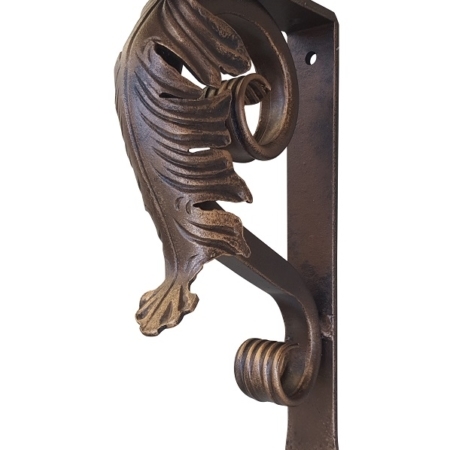 And, be assured you are purchasing quality hand crafted metal brackets from us. 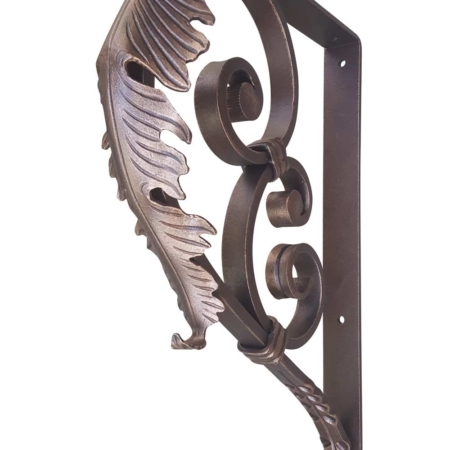 Since, this has become a popular choose in our product line, we offered three (3) leaf styles and sizes to choose from. Also, customers know, when they see product like this, quality and craftsmanship are important in creating the best look. In addition, our customer service can’t be beat. 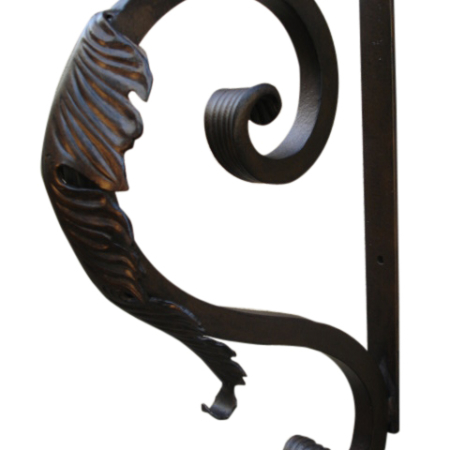 In conclusion, here at Shoreline Ornamental Iron we look for ways to bring custom design and detail to our products. Interior designers appreciate detail and that is what we offer. 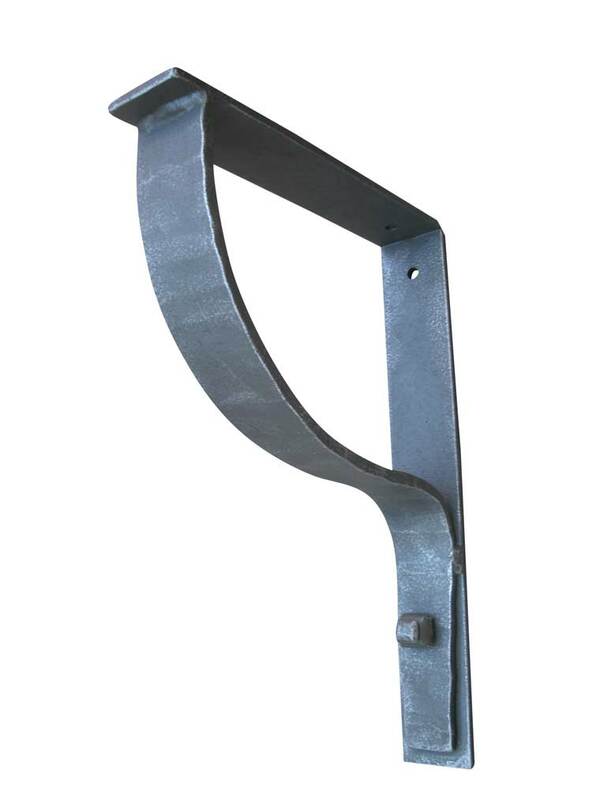 Here, is visual, and, at the same time, best in design and quality in an indoor and outdoor wrought iron angle bracket.